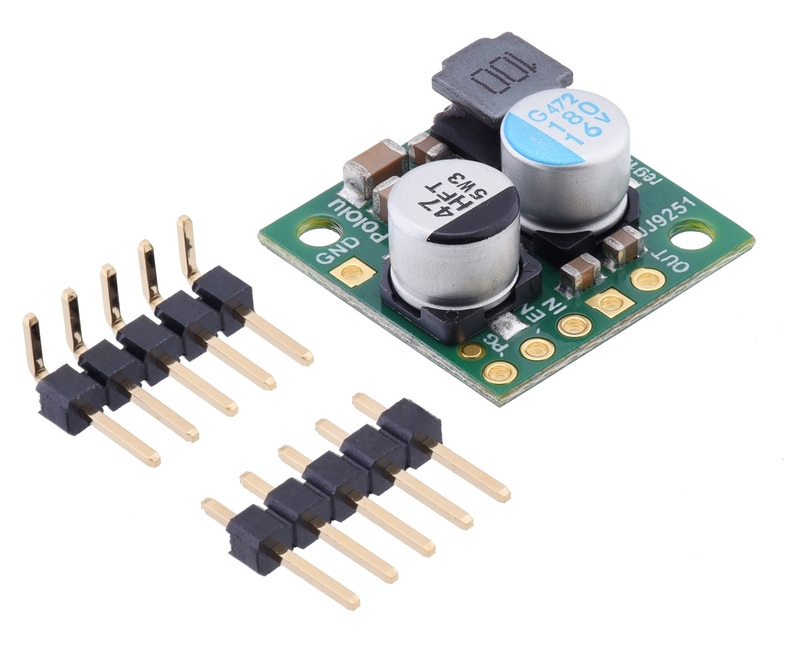 The D24V22Fx family of step-down voltage regulators generates lower output voltages from input voltages as high as 36 V. They are synchronous switching regulators (also called switched-mode power supplies (SMPS) or DC-to-DC converters) with typical efficiencies of 85% to 95%, which is much more efficient than linear voltage regulators, especially when the difference between the input and output voltage is large. 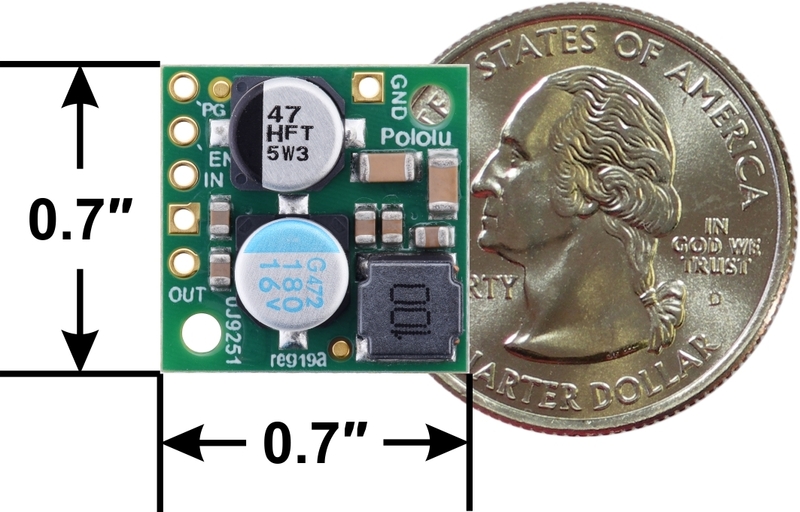 These regulators can typically support continuous output currents of over 2 A, though the actual available output current is a function of the input voltage and efficiency (see the Typical efficiency and output current section below). 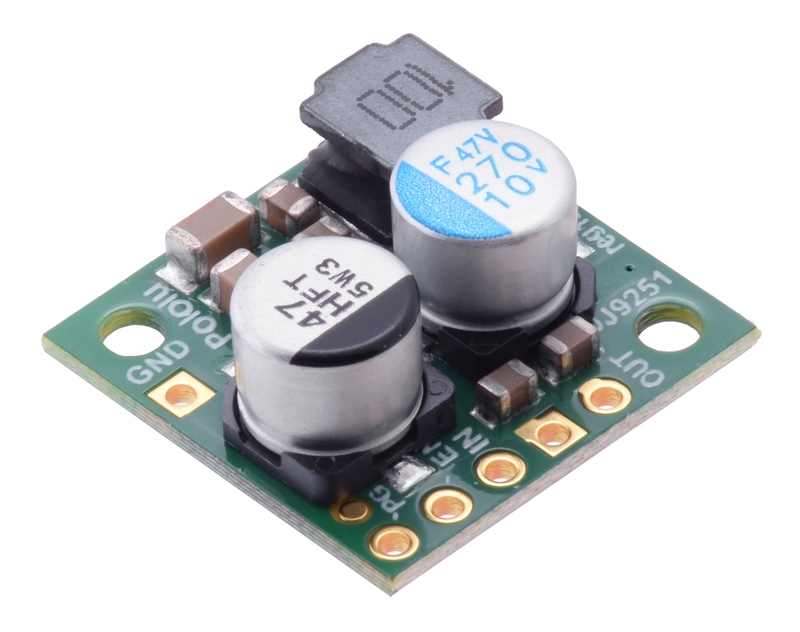 In general, the available output current is a little higher for the lower-voltage versions than it is for the higher-voltage versions, and it decreases as the input voltage increases. 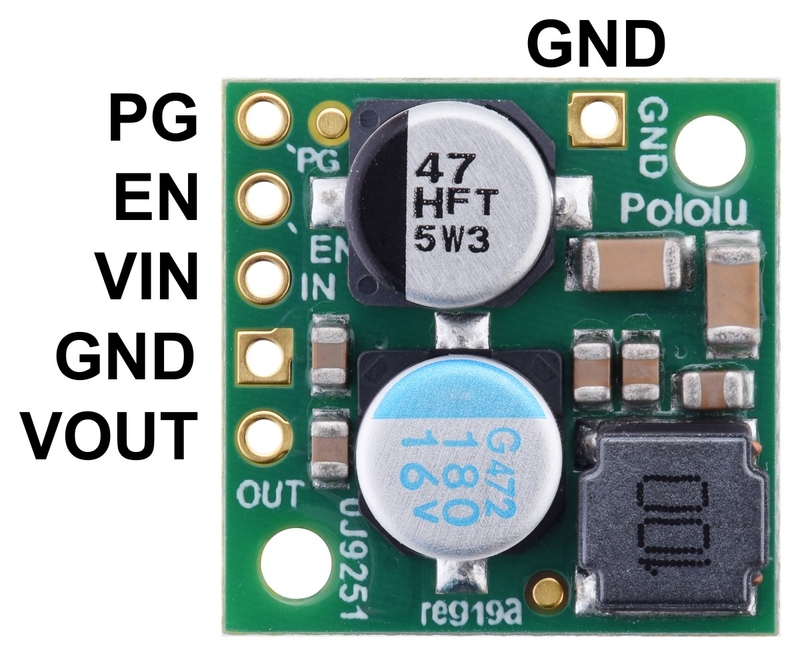 Several different fixed output voltages are available.